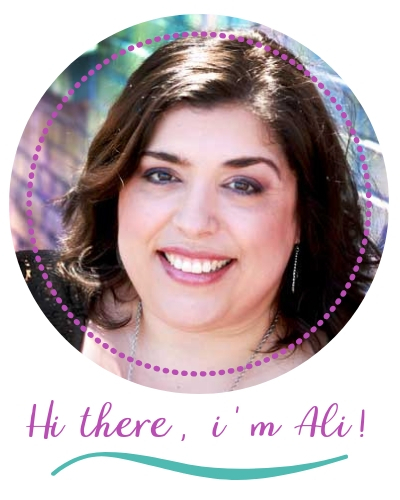 Even before I had a chronic illness, cleaning was necessary evil. If I had just kept up and done a little cleaning here and there, then it would not be such a massive task. But, I put cleaning my house off, so when I finally committed to doing it, it took a ton of time and energy. Now that I live with Rheumatoid Arthritis and Chronic Pain, I simply don’t have much energy left over for cleaning. 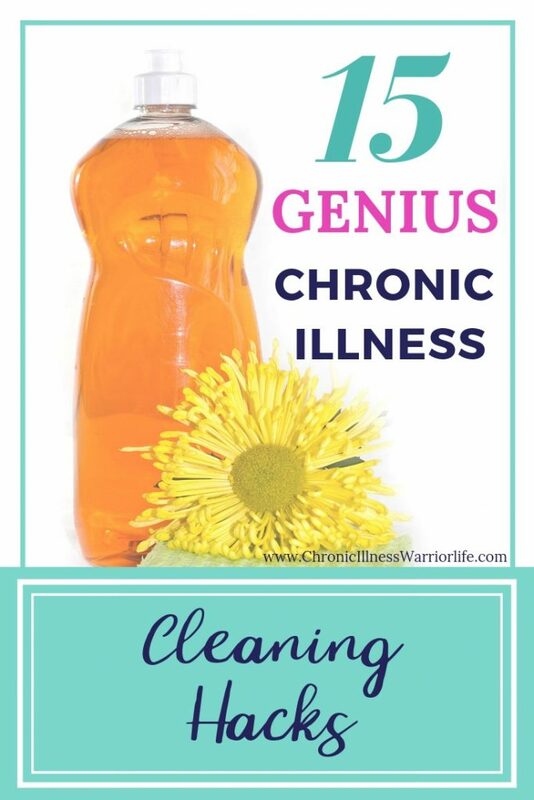 I need some heavy duty chronic illness cleaning hacks. If you need some helpful cleaning tips too that take into account our chronic illness limitations and challenges, then you are in the right place. The Most Helpful Cleaning Hacks for People Living with a Chronic Illness. These will make you life easier. I use this one. I find that if I give the dish or pot a quick scrub under running water and a little soap right after I am done cooking, the food comes of easier and it takes less time to clean than if I wait until later. But, sometimes you can’t clean your pots & pans right away. Then by the time you get to cleaning it, the food really hard to clean off. So the trick my mom taught me, is to fill the pot with water and dish soap then put it on the stovetop and heat the pot up almost high enough to boil the water. The leftover food particles soften up. TYou then dump out the water and it can be easily cleaned. I bake a lot of chicken and I use my jelly roll pans (like this one.) For seriously easy clean up, I line the pan with foil and when I am done cooking, I just throw the foil away. It saves a ton of scrubbing! In the kitchen, I use Clorox Wipes to keep my counter tops clean and disinfected. The thought of raw meats and egg remnants lurking on my kitchen surfaces makes my skin crawl. I also use this cleaning hack to wipe down my stove top, refrigerator (insides and out), small floor spills, and kitchen table. Cleaning toilets has to be my most hated task when it comes to cleaning. So when I found this toilet wand that Mr. Clean makes, I was so excited. (It looks like the reviews for the Clorox Toilet Wand are much better). I don’t have to touch anything except the clean toilet wand handle. I just stick a new scrubbing pad on it, clean the inside of the toilet bowl, and click the release button straight into my garbage can. The scrubbing pad drops right in and my hands are germ free and my toilet bowl is clean. Boom. I know I may sound like an infomercial, but yes I LOVE my Clorox wipes. Using a wipe to quickly clean the toilet seat is quick, easy, and effective in killing germs. The hardest part about keeping a shower clean, is scrubbing those hard water stain buildups. I use Bio Clean to get my shower glass clean, but then I use Rainex to make the most of my cleaning efforts. It coats the glass to repel the water and so you end up having to clean your shower less often. There are so many uses for compressed air cans beyond just cleaning the keyboard on your computer. You can use it to clean the dust and gunk buildup on the bathroom vent fans. Just make sure you’re careful with whatever you use to get up high enough to reach it. While your there, why not just clean the light bulbs and fixtures too. 11. Use Mr. Clean Magic Erasers to clean walls, Doors, and so much more. This is one of my favorite cleaning hacks. I love Mr. Clean Magic Erasers almost as much as I love Clorox Wipes. In their toddler years, my kids are graffiti artists in training. So we go through A LOT of these magic erasers. I can’t tell you how many different types of marks we have cleaned off our walls, furniture, cabinets, and doors through the years. (I have 4 kiddos but my girls seem to be the most interested in graffiti). 12. Use Baby wipes to clean, Like everything. I saw this awesome quote once, “Baby wipes are the Swiss knife of parenting.” So true! Especially to clean marker ink off of furniture (non-fabric), cabinets, floors, and kids. There are a ton more ways to use baby wipes to clean. Even after all of my kids are out of diapers and potty trained, I will still ALWAYS have baby wipes on hand. Our TV screens never stay hand-print free for long. We use these awesome Windex Electronic Wipes for everything including laptops, phones, iPads, TVs. This is so quick to do and you just throw the wipes away when you are done. We usually have so much grime and buildup that using microfiber cloths makes me nervous. I don’t want to clean off Cheetoh fingerprints on one screen only to smear it onto another screen. You get what I’m saying? You probably already know about these Swiffer Dusters. They have been around a while and the company has continued to improve on the original designs. Now there is a 360 degree dusters and flexible long handled ones, floor dusters both dry and wet. I use these to easily dust my blinds, furniture, shelves, and picture frames. *Note: Some spills and stains need to be treated like red wine, paint and such. In those cases you may have to use a special cleaner. I have to finish this post with a funny story (not funny at the time) and a request. My oldest daughter went through a much more destructive graffiti phase. We broke her of the habit and encouraged her to become an artist who uses paper, canvases, and other appropriate media to express her talent. She is actually quite the artist today and I suspect she will grow up and that will be a major focus in her career path. But, back to my story. Several years ago, we bought a new couch for our family room. Just a few months went by until my daughter decided to use a Sharpie marker to draw a landscape scene on the back of our couch. (Insert expletive). Luckily, the best place for the couch in our family room is up against a wall. But still . . . So here is my request. Do you know a cleaning hack that removes black Sharpie marker from fabric? *Note: When I was a new wife and mom, I remember hearing about The “Flylady.” She had some great ideas on keeping up with cleaning in little chunks of time. Check out her Babysteps program to get started with some easy and simple ideas for keeping your house clean and organized. P.S. Would you do me a favor and pin 15 Seriously genius cleaning hacks for me?